What a terrific and instructive story! 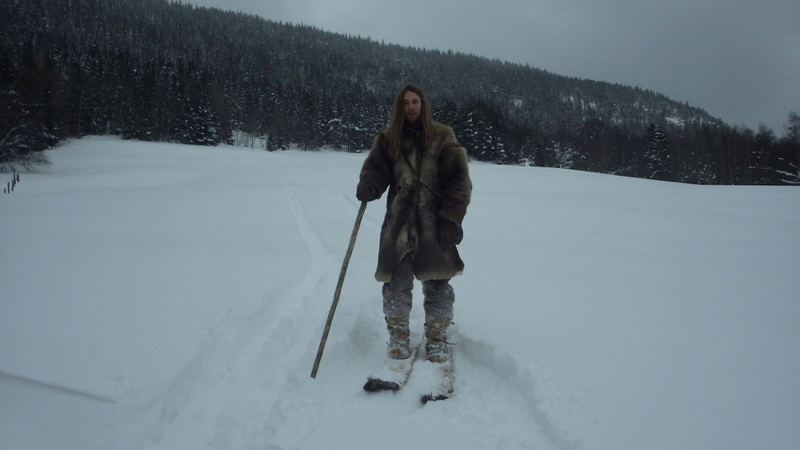 I saw a film – The Happy People – featuring a Russian trapper in the Taiga making his own skis following this method. I just went a cut down a spruce (only about 25 cm in diameter … hoping this is wide enough). I’ll try to follow your lead. A few questions: why a slight spiral in the wood? Why keep the wood frozen when you’re not working it? 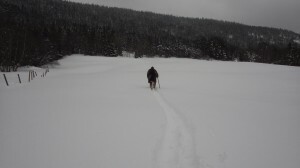 How do skis compare in usefulness to snowshoes, in your area? It is interesting that here in Canada, skis were never used or made, but in Siberia they are widely used, and snowshoes are totally absent(i believe). Perhaps it has something to do with vegetation density, although there are park-like pine forests in Canada. 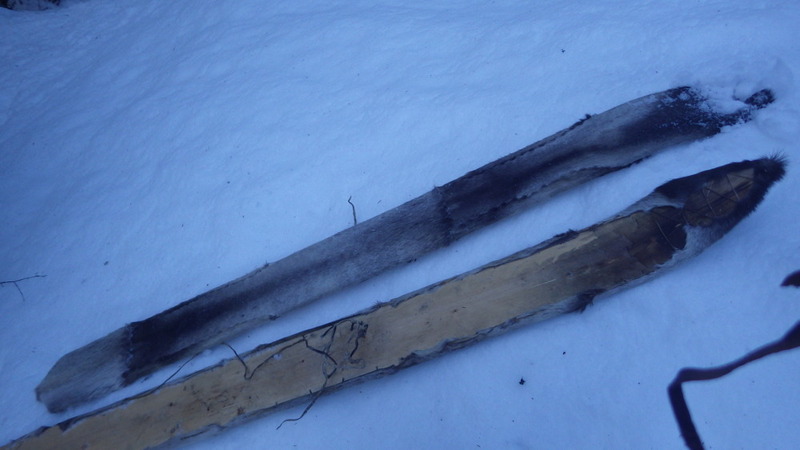 Metal tools could be another reason, but after contact at least, wide hardwood toboggans were made, but never skis. Either way, today snowmachines (and cutlines) replaced all that for people working in the bush(trappers). 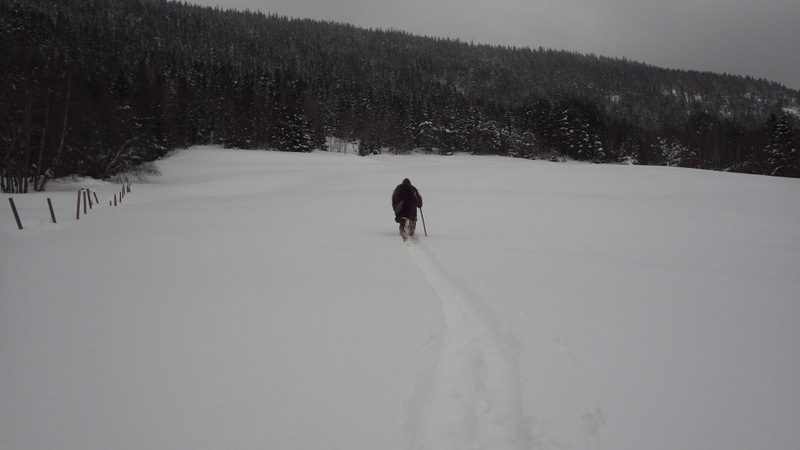 Most trappers do carry snowshoes along on their snowmachines for various uses. 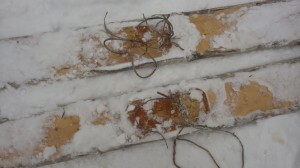 Although i have a feeling skis, the wide siberian ones, can be as good or better for same tasks, especially walking back to camp from a broken snow-go, in fresh soft trail. The spiral in the wood is no advantage, but it can be difficult to find totally straight wood. I buried the wood in the snow when not working on it so it wouldn’t dry out before bending the skis. Many Siberian skis are very broad and short. Functions pretty much as snowshoes. Snowshoes are not completely absent in Siberia either. In the far east of Siberia they exist alongside skis. Chukchee people uses snowshoes, although rather simple ones. In the highly forested valleys where I live snowshoes are more useful in general. Canadian snowshoes are more versatile than skis. 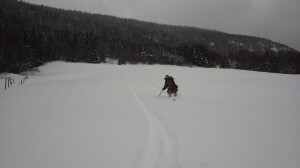 Skis are much faster in relatively open areas. Such as in the higher mountains. You have a point about that skis are difficult to make with only stone tools. But it wouldn’t have been a huge problem. Harder to make a toboggan I’d say. Sectioning logs with fire and splitting down as much as possible with wedges makes it possible to almost avoid using stone axes and similar I think. I got a spiral too as I split the logs. I am planing them down now, trying to work with the spiral a bit to get the full strength of the grain. I’ll try to flatten them when I bend the tips and put them in a form. 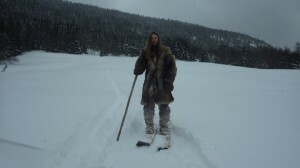 Matt: wide skis with skins are, I think, as versatile and useful in the deep woods as snowshoes. They are a bit safer too. Making Skis < Liked it! I also made skis like this a few years ago and am happy see that someone else has, mine are also spruce and very thin, 1/4″ at the edges and maybe 3/4 to 1/2″ in the center so thin I thought they might break but I wanted to see, and I am always amazed when I go over a dip in the snow how much they bend and they have never broken. Mine live on my porch and I use them almost every day to get around in the woods. I never use my snowshoes anymore. I can’t believe how good they are, I can keep up with friends on groomed trails who have modern nordic skis, and in deep snow they are indispensable. I can’t believe that they are not more popular. They seem so much better than snowshoes or modern skis. I used old seal furn on mine, but it is hard to get in america now and I want to try the next pair with plain white tailed deer. I used a lampwick binding like for snowshoes on mine and it works good. I will have to try the birchbark to prevent the snow balling, I am always cleaning it.